Go to My Account / Company and find the Settlements icon on the left menu. Then click on New Settlement Information. Insert Settlement details here then click on save. Now we are going to create a new transaction. 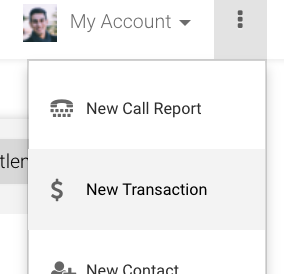 Click on the three dash on the top navigation menu and click on New Transaction. 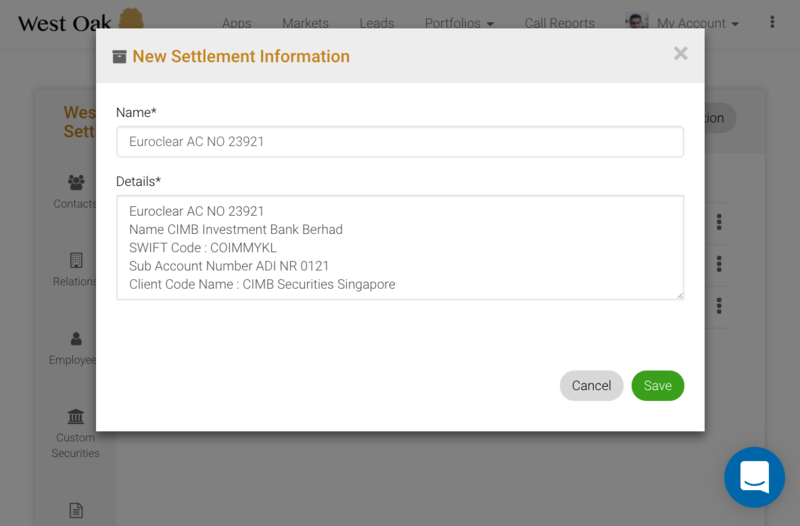 In the trading page you can select Client Settlement, Company Settlement and Broker / Counter-party Settlement. Finally click on Save once you informed this form. Settlement information is recorded in the transaction history.